Never on the market before, this home has been loved by the same family for 70+ years. It has great bones and space and would make for a fabulous renovation/expansion project. 2,000 +/- square feet of living space, on .71 acres with a pool and private, serene park-like grounds. The main floor boasts a large living room with fireplace, family room with fireplace, formal dining room and oversized kitchen with breakfast area that opens to the laundry room and breezeway/porch overlooking the Bluestone patio. 3 bedrooms, 2 full baths, and a study round out this spacious ranch. The backyard of this home is an entertaining oasis for family and friends. Bonus - 2 car attached garage. 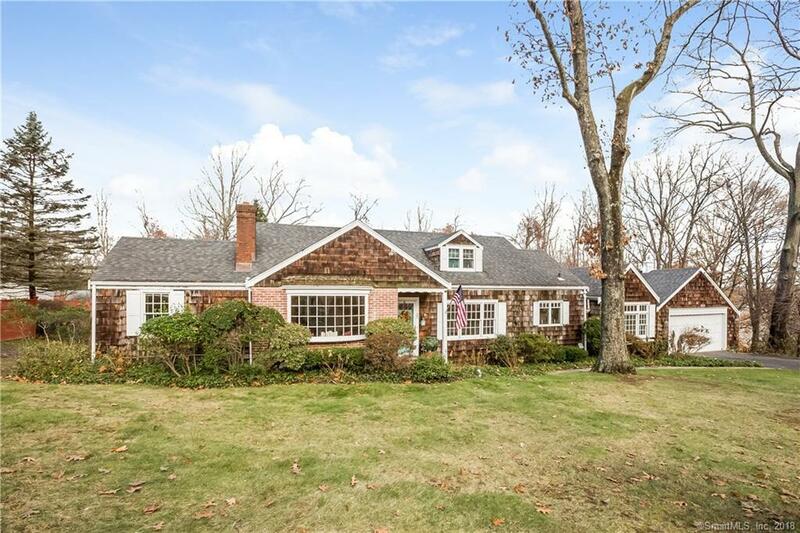 Very convenient to the Merritt Parkway, I-95, New Canaan, shopping on Broad River, restaurants and so much more. A wonderful home in an awesome neighborhood awaits you! !, This home is an "Estate" and being sold "As Is". Response to offers will require more time than usual and is subject to attorney review.